With her ready smile, sparkling green eyes, and welcoming spirit, it was easy to love Donna Bernth. Donna had a special way about her that naturally drew others to her side. From family, longtime friends, co-workers, and people in general, it was clear to see that Donna had a giving and understanding heart. There was no one quite like Donna, and in the lives of those who knew and loved her, she will be remembered with love. At a time when Miami Vice was the TV show to watch and Back to the Future was the movie to see, the U.S. was continuing to make great strides in technology and innovations. The age of video games, Pac-Man was released and the Nintendo gaming system was on every child’s Christmas list. 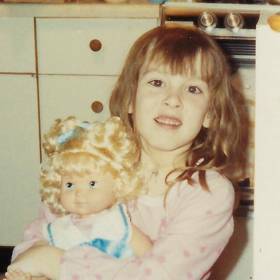 Yet on September 15, 1985, there was much excitement surrounding the birth of Donna Marie, the daughter of Warren and Colleen Hill, when little Donna decided to make her introduction into the world at the home of her grandparents in Allen Park, Michigan. Much to the surprise of everyone involved, her birth made the police officer’s night, and with much praise for a job well done. 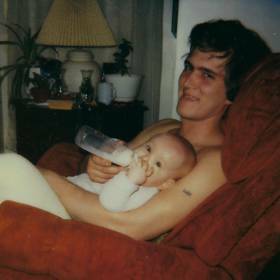 Donna grew up in Melvindale, a downriver suburb of Detroit alongside her younger siblings, David and Katy with whom she often helped care for. Her father, a jack-of-all-trades, worked in construction while her mother was a cook at Beaumont Hospital.  Donna enjoyed a childhood filled with adventure, friends, and times to remember. She loved spending weekends at her grandparent’s house where she became an old school movie and music buff. Always an avid reader, Donna especially loved love stories and science fiction. Taking part in Brownies, Girl Scouts, and eventually becoming a Cadet made a lasting impact on Donna. She loved telling stories about her experiences in Girl Scouts and the many fun times she had on trips, camping, and overnights at the Y.M.C.A. Donna and her best friend, Christina Hinman had the best of times during their teen years. They shared a love for music and spent countless hours in Donna’s room listening to NSYNC and The Backstreet Boys. They’d rehearse and perfected their dance moves with the band’s music videos, and they were very proud to have mastered the dance to the song, Bye, Bye, Bye. Along with her love for music, Donna’s affection for animals was without end. 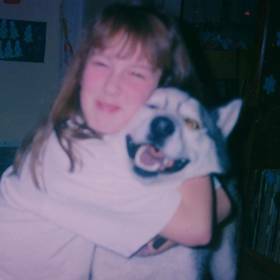 A true pet lover, the more pets Donna had the happier she was! While growing up, her best night’s sleep included sleeping wrapped up in a blanket in her bed surrounded by all four of her dogs and their unconditional love. Donna graduated from high school in 2004 and for the last 13 years, she worked as a shift supervisor at Rite Aid. People were naturally drawn to Donna which was evident in her work. With ways all her own, she took people into her heart, making her a trusted friend. Her co-workers became like family to her, and her hard work ethic and her ability to get things done made her well respected and loved by all. Donna’s caring and tender demeanor was put to task one time when her uncle was involved in an auto accident right outside the store. When he came in for help, and unaware his niece Donna worked there, her familiar face and concern was a welcome sight as she immediately looked after him and bandaged him up. Through mutual friends, Donna met the love of her life, Dan Bernth when they were just kids, and it was love at first sight. Five years ago on May 14, Donna became Dan’s sweetheart. He was the first man she ever held hands with, and he gave Donna her first kiss. In time they bought a home together, and her first and only lover, the two were happily married. Merely several weeks ago on October 14, 2016, in a ceremony held in their basement before close family, Donna counted this day as the best of her life. 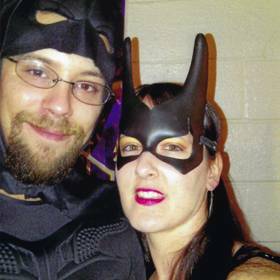 Donna and Dan’s story read like a fairytale in one of the well-loved novels she read often. During the years they spent together, the two shared their love for movies, music, and animals. As time went on, their love grew stronger and deeper. When they bought their house, they also acquired their “fur babies”, a Rottie named Frankie, and two gray tabbies, Meow Meows and Chippy. Both of their cats were saved from animal shelters and Donna believed they were there for her to take home and love. Donna’s love for Dan was to the moon and back. Even when she was out with friends and compared him to other men, Donna always considered her Dan to be better. She told her family and friends that while there may be plenty of fish in the sea, Dan was her fish and not to touch her fish! Over the years they spoke often about the love and joy having children would bring to their lives, yet sadly, their time to fulfill that dream was all too brief. Family was at the forefront of Donna’s life and heart. She savored every moment spent with them, and in turn, her presence was a treasure. Donna had a special way of loving those who meant so much to her. Like a bubble, she kept her family close and was very protective of them. Donna especially loved Christmas time when she could spoil her loved ones and see them smile. It was certainly a good time of year for Donna too as she absolutely loved dressing up for holidays with a new outfit to wear. Everyone loved Donna’s humor and some of her sayings which her family knew all to well, like referring to a shopping cart as a buggy, which she no less picked up from her grandmother. Donna often referred to herself as a “last minute sally.” If someone was late, then they weren’t on time. Donna truly loved anime. Between the show and the books, she could literally watch and read for hours. She also dabbled in photography since she was little and made a photo album for nearly everything. She loved taking family photos, buying frames and displaying them around the house. Perhaps it was Donna’s way of never being far from those she loved. When it came to her beloved Dan, Donna loved to spoil and surprise him with little gifts, mementos or special foods he liked. Donna surely brought the light of world to Dan’s life and a smile to his day. 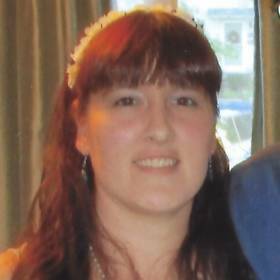 Donna Marie Bernth, age 31, died Tuesday, November 1, 2016. Her family includes Dan Bernth, her husband; parents, Warren and Colleen Hill; brother, David Hill; and sister, Katy Hill. Donna’s family will receive guests Saturday, November 5, 2016, from 1:30 to 4:30 PM at Neely-Turowski Life Story Funeral Home, Livonia, West of Middlebelt, 30200 Five Mile Rd. Livonia, MI 48154. Contributions in her memory may be made to Donna’s family. 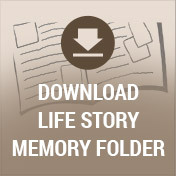 To share a favorite memory or photo of Donna and to sign her online guestbook, please visit www.lifestorynet.com.